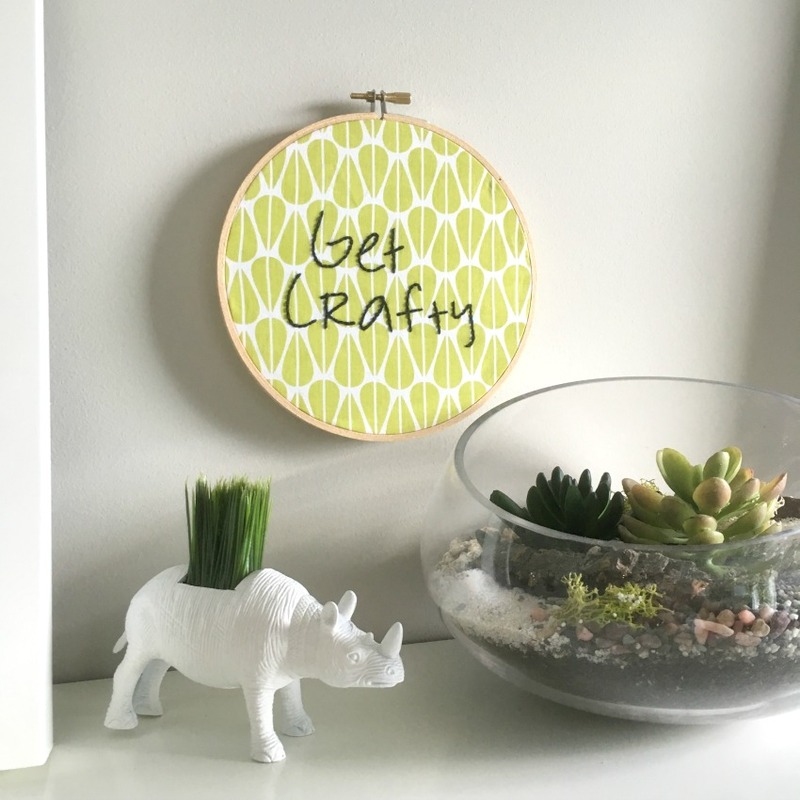 I recently took up embroidering after taking a Make & Mingle workshop through Crafted with Stef of Needle and Pine. I am now officially addicted. I love the fabrics, the numerous colours of threads to choose from, the creative possiblities and most importantly, it’s a craft that I can do while watching tv. I find embroidering so relaxing! 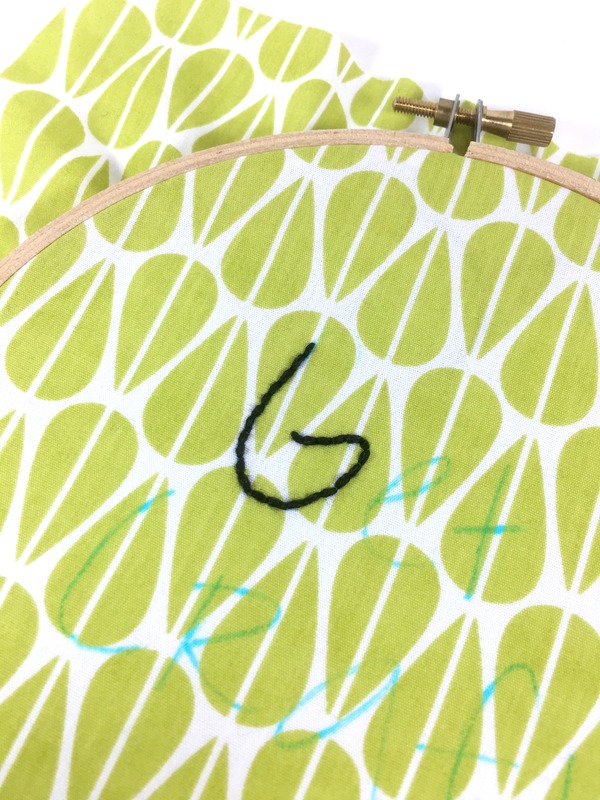 Today I’ve made up a really simple embroidery project. 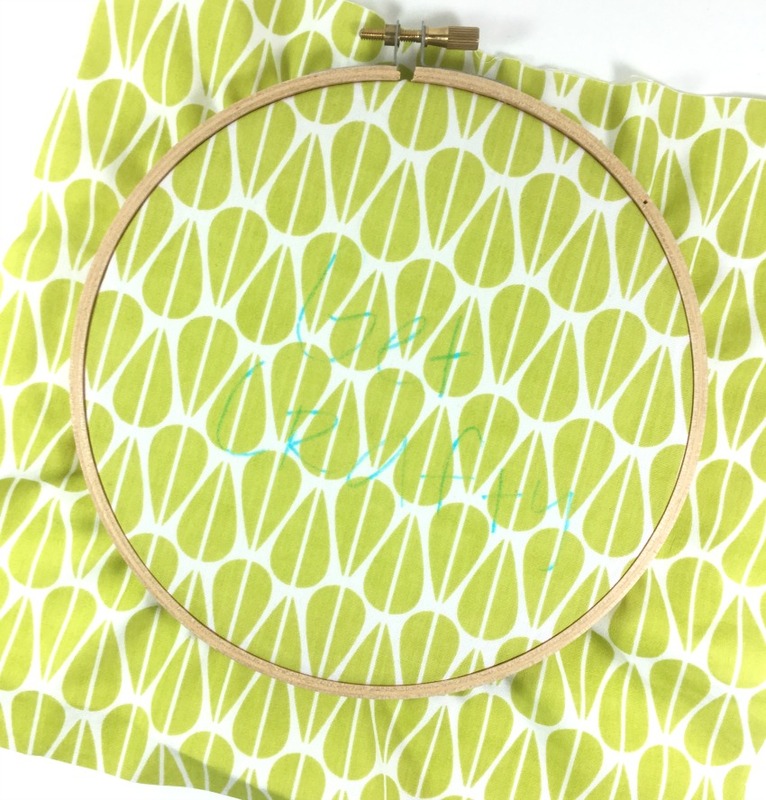 It includes a simple template and you only have to use the back stitch to create it. Have some fun with it! 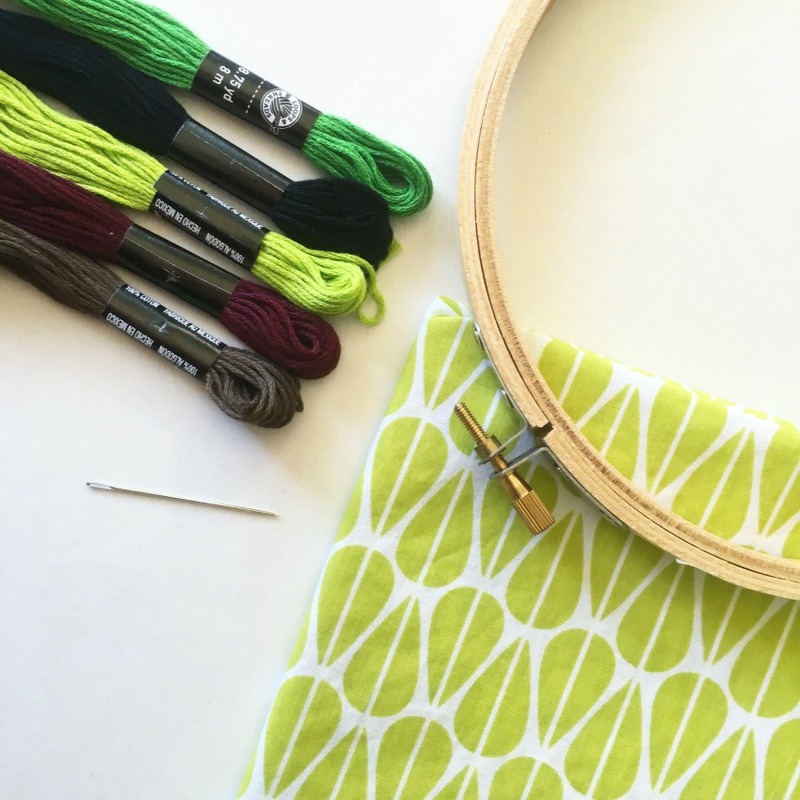 Choose some fun patterned fabric, colourful thread and get crafty! Embroidery thread in a complimentary colour. Black is always a good way to go. 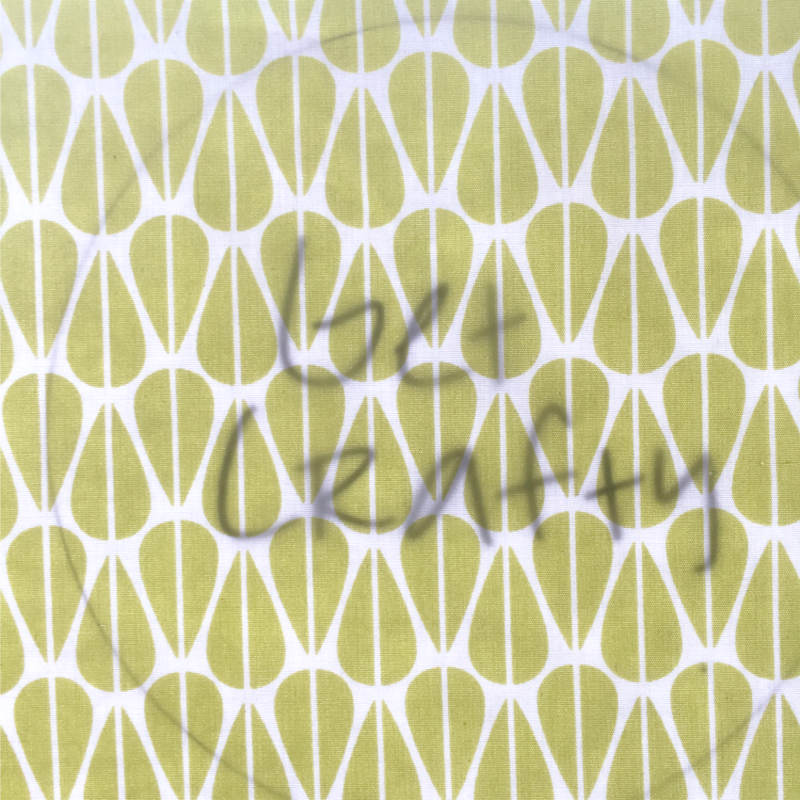 Print out this “Get Crafty” Template and tape it to your window. Cut a piece of fabric roughly 9″ x 9″. Place the fabric over the template and tape it to the window. 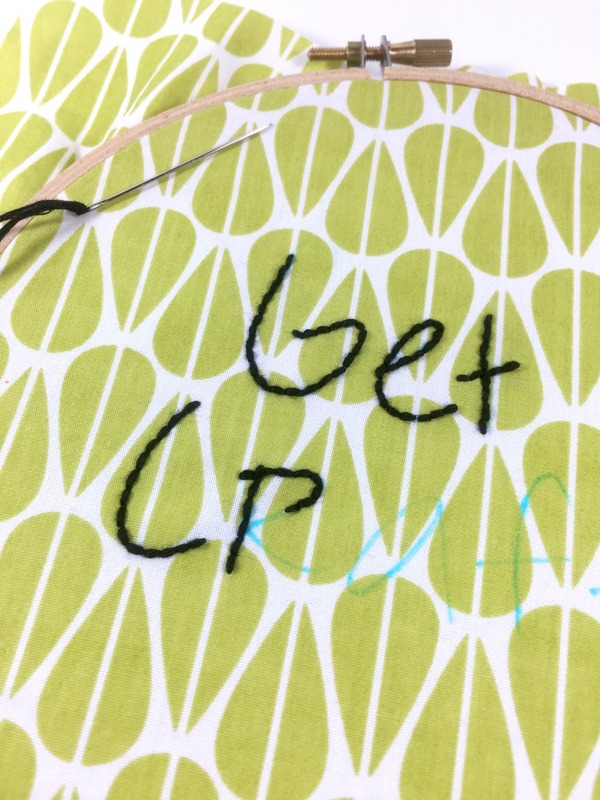 Using a Water Soluble Pen trace the words “Get Crafty” onto the fabric. 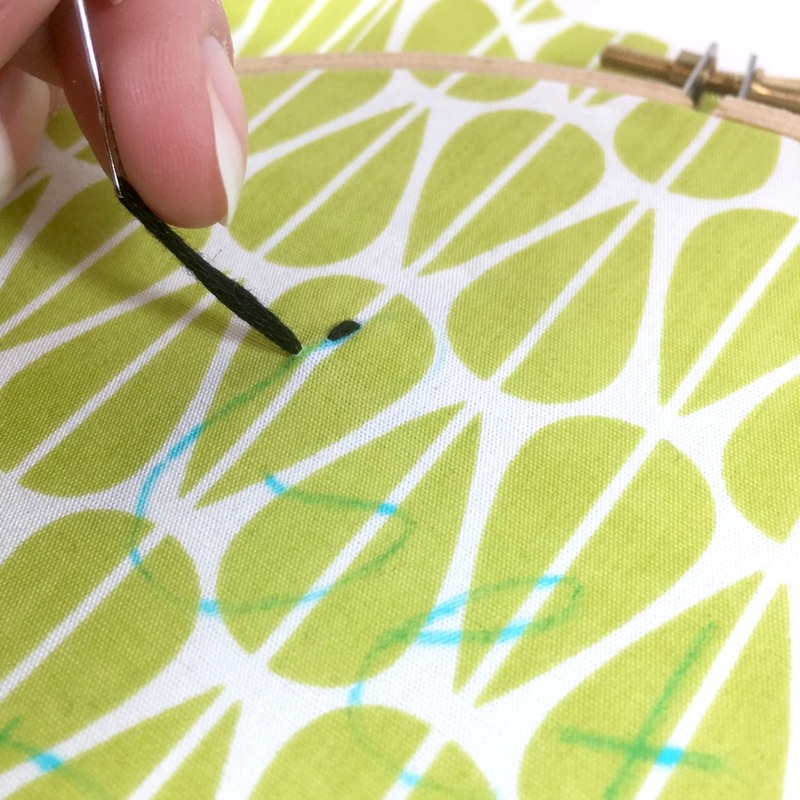 Place your fabric over the inner part of the embroidery hoop as centred as possible. Place the outer hoop over top and twist the screw to tighten the hoop. From the back of the hoop gently pull the excess fabric going around the hoop. 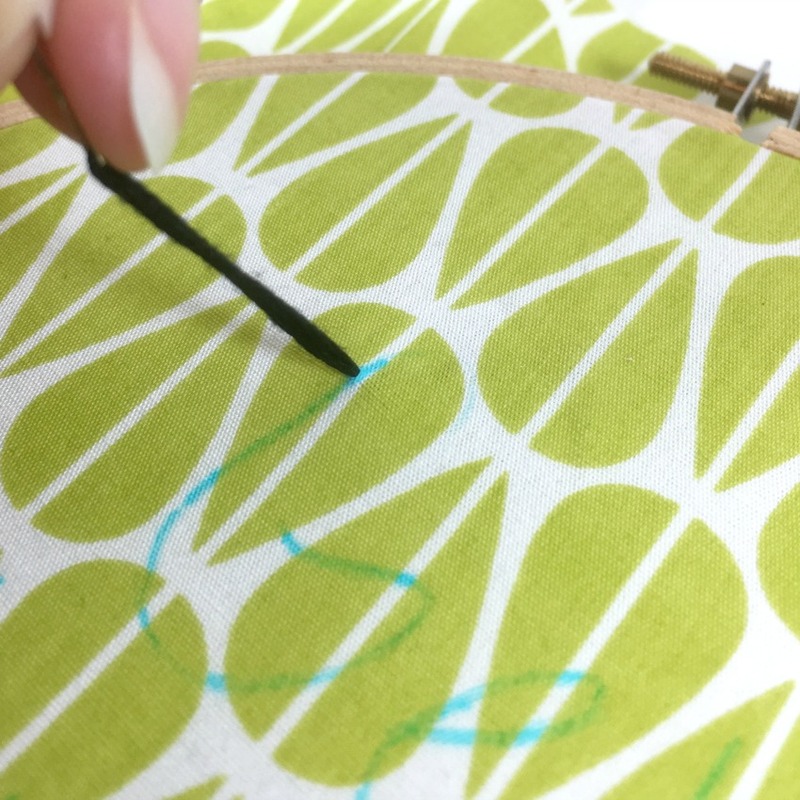 This will make your fabric nice and tight within the hoop. 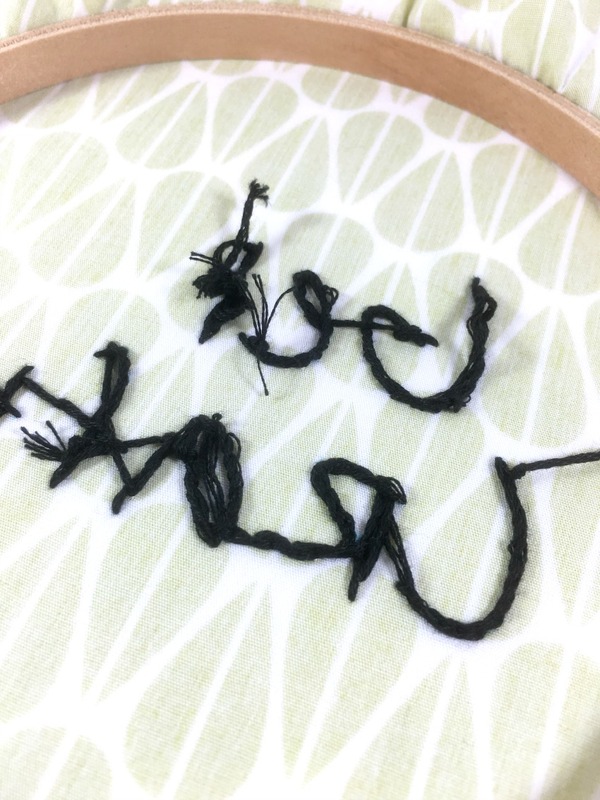 Cut a piece of embroidery thread roughly 14″ long. 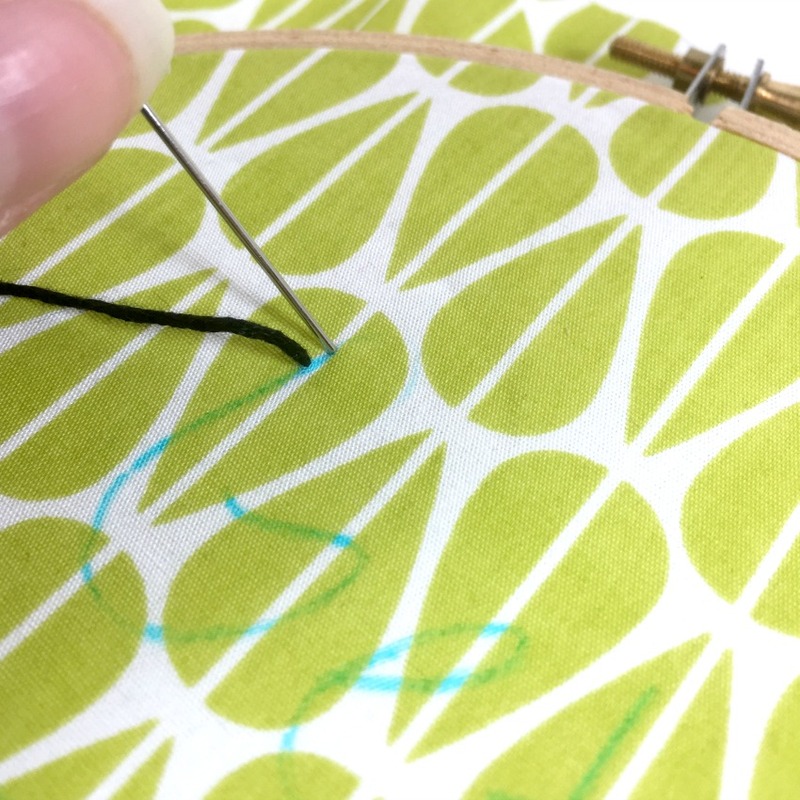 Using your needle threader, or a steady hand, thread your needle and then tie a knot at the opposite end of the thread. From the back of the hoop come up through the fabric with your needle just in from the end of the letter. Pull your thread tight and then go back down through the fabric at the very end of the letter. Pull your thread tight again and come back up through the fabric just in front of the last stitch you made. 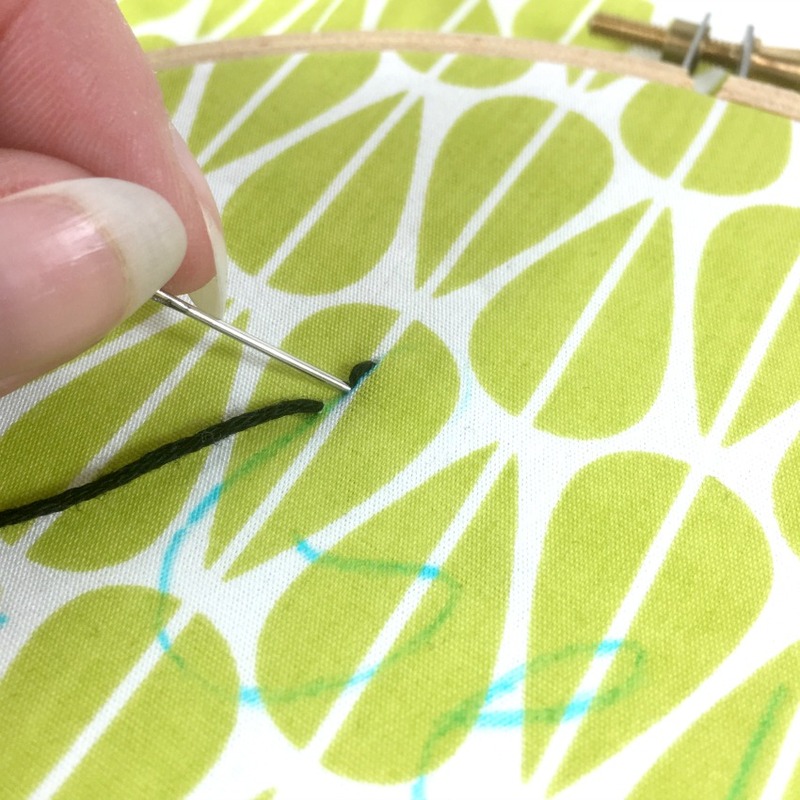 Pull your thread tight and then go back down through the fabric at the point where your last stitch started. Repeat this process along the line until you’ve finished the whole letter. Keep working through your project one letter at a time. I would suggest going left to right but it’s up to you. As you get to the end of your pieces of thread just tie them off on the back side of your hoop. Grab a new piece of thread and keep going. Done! You can cut off the excess fabric from around the hoop leaving roughly an inch and then secure it to the back of the hoop with glue. Or you can add a piece of felt to the back with glue to hide the excess fabric. There are many options for cleaning up the back. I hope you enjoyed my tutorial! Now go Get Crafty! 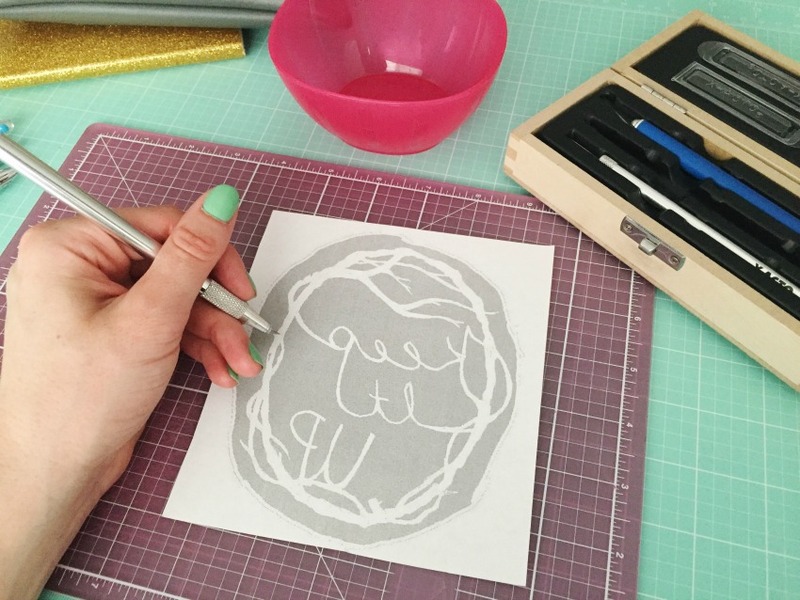 Lindy is a stationery designer and runs her Etsy shop, craftedbylindy, out of her home studio in Calgary, Alberta. You an also find Lindy writing lifestyle posts on her blog and sharing her every day on Instagram. 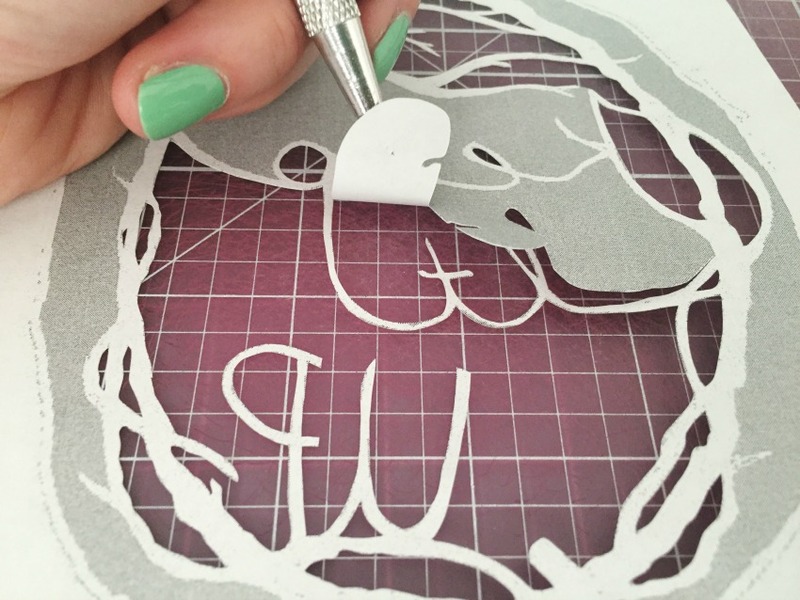 This is Sam from Catfriendo with my paper cutting tutorial. I’ve included a supply list, the tutorial, and a tips section. Sorry if this is a little bare bones! 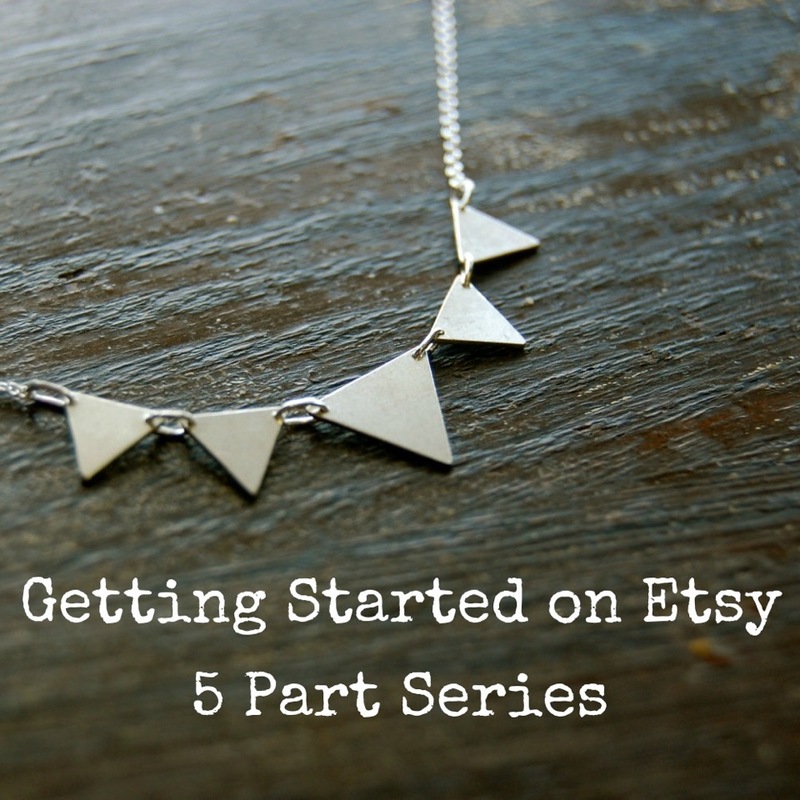 All items can be found easily at a craft supply store or even a stationary shop. 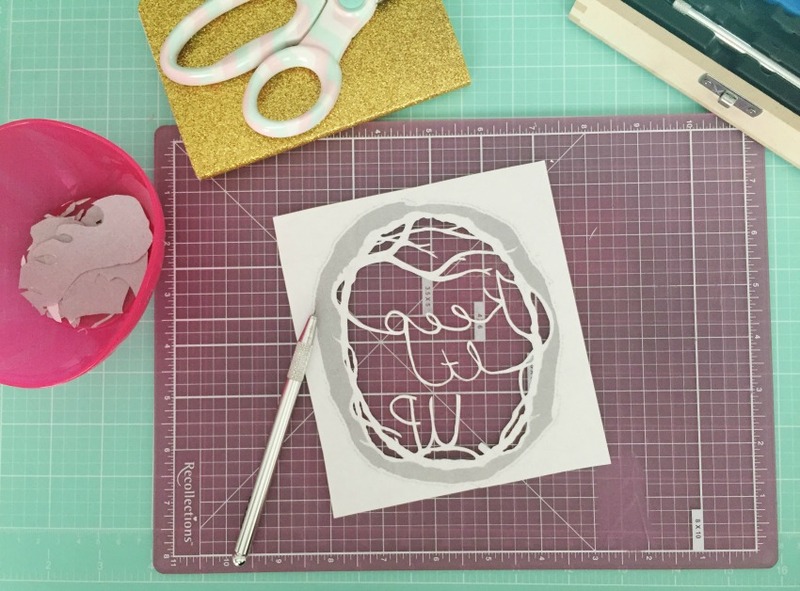 That’s the beauty of paper cutting: the supplies are pretty easy to find! – Original hand-drawn Catfriendo template – provided here. – Paper of choice – printer paper is great to practice on – it’s thin and easy to cut through, however, it tears pretty easily and isn’t archival grade. Cardstock or another acid-free paper will last longer and look nicer, but it can be more difficult to cut through and dulls blades faster. – Knife of choice – I like to use a swivel kraft knife because I find it easier to control, but whatever knife you have lying around will work fine! – Cutting mat or cutting board – these keep your blades sharper for longer and help to protect the surface below the piece you are cutting out. – Container to put discard paper. 1. Print the supplied template. – The bigger you print your template, the easier the design is to cut out! The example shown here is about 5×7 inches. I’ve mirrored the template because the side of the paper you are cutting into is the back of the piece; when you are finished and flip it over, no lines will show and the text will be in the right direction. – I like to start by cutting out the smaller, more detailed areas of the design. For example, here I cut out the inside of the letters and the delicate parts of the border. Loops are a great place to start as they are usually the most finicky areas and when the surrounding paper is still there tears are way less likely to occur. – Once the detailed pieces are removed, move onto the bigger areas. I like to start in one area and move across the piece. Here I started in the lower left of the piece and moved across and up. I find it easier to break down the areas I remove – smaller pieces are easier and less difficult to extract and are less prone to causing the piece to tear if they get caught! 4. Moving across the piece. – Keep moving upwards on the piece. In really delicate places, I use my index finger on my non-cutting hand to stabilize / keep the paper tight in order to avoid tearing. – Almost done, all that’s left is to cut out the surrounding paper. You can do it! 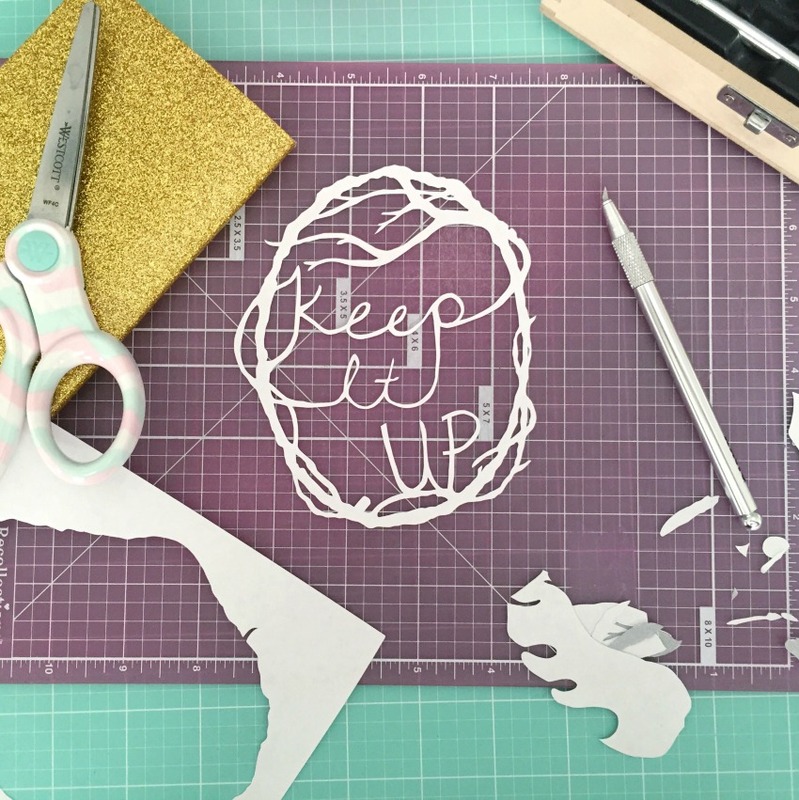 – Time to flip over your new piece of hand cut paper art! Thanks so much for following along with my little tutorial; I hope you had a blast! – if your paper of choice will not go through your printer, print the piece on regular paper and use carbon copy paper to trace the design onto the paper you want to use. Carbon copy paper is pretty easy to find at stationary or office supply stores. – if you are drawing your own design and it includes text, make sure to write the text backwards to get a way cleaner design in the end. Try holding a mirror up to the backwards text to make sure that all of your letters face the right way! 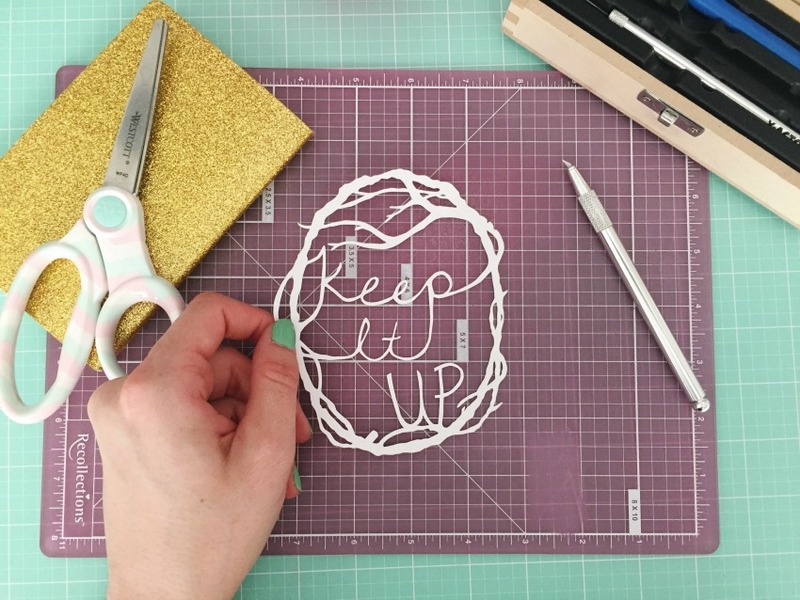 Sam of Catfriendo is a hand cut paper artist based in Calgary, Alberta. Sam sells her paper creations at local markets as well as through her Etsy shop.